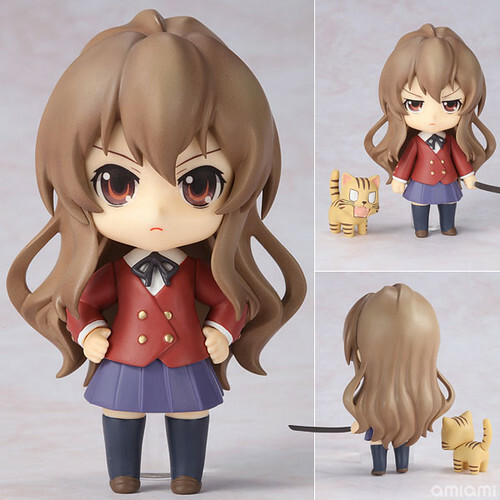 Nendoroid Aisaka Taiga is Available for Pre-Order! Yep, as you have known, there are three version of Nendoroid Aisaka Taiga: standard version, Dengeki version, and Sailor version. First up is the standard/regular one, which is available for pre-order starting today and scheduled for late January 2012 release. Normal/angry face, grumpy face, a mini-tiger, and a wooden sword is all you would get for 3500 Yen. 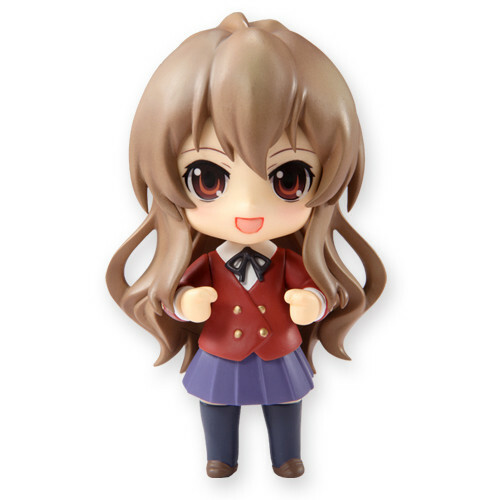 The second version of the Nendoroid rendetion of Taiga is … well, Nendoroid Aisaka Taiga: Dengeki version, which is exactly the same with the standard run (parts, pricing, and release date), with an additional smiling face and sold exclusively on Dengeki. Pre-order for this version of Taiga is available starting today until September 5, 2011. The third one is Nendoroid Aisaka Taiga: Sailor version – previously known as Nendoroid Aisaka Taiga: Last Episode Uniform version. 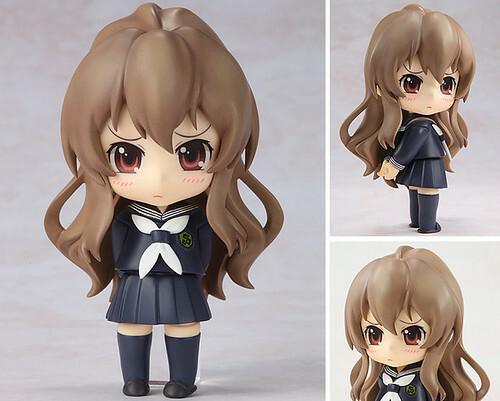 As far as I know, this version of Nendoroid Aisaka Taiga does not include any additional parts and/or accessories other than what you see in the pic above. Yep, you will only get a different expression and sailor uniform of Taiga for 2800 Yen. The first release of Nendoroid Aisaka Taiga: Sailor version will be sold at Chara Hobby event on August 27-28, while the web pre-order one will be available starting August 29 until September 5 at Dengeki-ya. The pre-order version is scheduled for late January release – similar with the other 2 version of Taiga. I’ll make do with the Petit Final Episode version I already have, I think. Has anyone tried to order the Dengeki version? Do they accept PayPal? Or Credit Card? Will it be credited at time of purchase or delivery? Thank you. Sweet! I ordered mine with Yokatta Shopping.